Welcome back aboard the lore bus, Fodder folk. Last week, we hit on an eclectic menagerie of scattered story snippets, taking a detailed visual look at some Halo 5: Guardians armiger aesthetics, highlighting tabletop recaps, musing about Mega Bloks in motion, and more. This week however, we’re taking a bit more of a focused approach, and taking some time to remember. As many of you know, the Memories of Reach content release for Halo 5: Guardians is fast approaching, and with it, many memories of our own surrounding time spent on one of humanity’s most important 26th-century strongholds. Fans who picked up one of the Collector’s Editions of the game were treated to a very intimate look into Halsey’s career, motivations, and even her personal life via the collectible journal that came packaged with said editions. 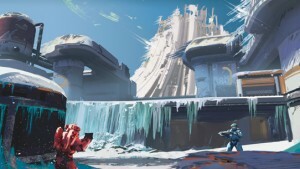 Packing enough story and lore-tidbits to almost be considered a novel on its own, Halsey’s Journal was met with delight by Halo fans all across the world. 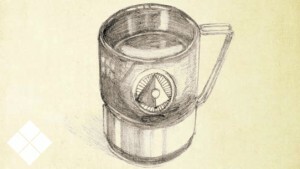 The journal was also quite the sought-after artifact in­-fiction, and its eventual arrival into the hands of ONI director Admiral Margret Parangosky after the destruction of Sword Base was just one more strand in an ever-evolving web of intrigue between Halsey herself and the clandestine organization she’d given her life’s work protecting. A terrorist suicide bomber loaded a commercial nuclear explosive (commonly used in asteroid mining) and several thousand pounds of scrap cadmium into the back of a rental truck, and then detonated it inside the promenade of the Haven arcology on Mamore. This is the third major terror attack this month in the Mato Grosso province of Mamore, but the first ever of this magnitude. 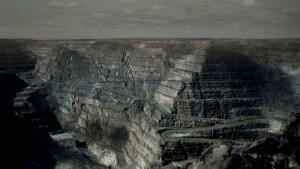 The explosion — which destroyed nearly a quarter of the structure above ground causing the arcology to collapse, killed an estimated two million residents, injured over 8.3 million others, devastated nearly half a million hectares of outlying farmland, and was felt over 140 kilometers away from the blast zone — also sent a plume of radioactive debris high into the atmosphere. The Freedom and Liberation Party terrorist group claimed responsibility for the attack. Mamore’s new head of Foreign Affairs and Security, Gilbert Ruais, expressed shock and outrage over the brutal attack, stating that “this unforgivable, cowardly act of violence proves yet again that [this group] wants neither freedom nor liberation; they desire only to viciously murder those with whom they disagree.” UNSC emergency response teams are presently organizing rescue, quarantine, and evacuation efforts. UNSC High Command on Reach has failed to respond to all requests regarding investigation of the individuals responsible for this attack or the Freedom and Liberation Party. On 13 February 2526, at 0153 hours, ONI special service vessel UNSC Accra encountered an alien battle fleet while conducting a survey above planet Bliss. 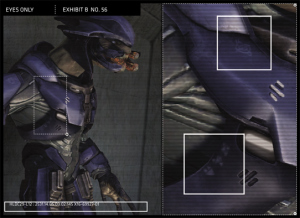 The ship’s voyage data recorder was recovered by the UNSC Prophecy. The following is an excerpt of the ship’s final event log. 0153 // Forty-five ships of unknown origin detected 18.537 million kilometers from planet Bliss. 0201 // Bliss defense vessels coalesce into battle cluster. Two UNSC heavy cruisers (Weeping Willows and Matador) and one frigate (Purpose). 0214 // Unknown ships positively identified as alien warships comprising what appear to be five assault carriers, twenty-three battlecruisers, and seventeen destroyers. 0216 // Bliss defense vessels engage enemy ships near lunar satellite Aires. Emergency evacuation protocol for local populations initiated. 0217 // Alien vessels counter. 0219 // Communication blackout with Bliss defense vessels. Alien ships proceed toward planet. 0237 // INTERNAL: Initiating Emergency Priority Order 020570E-3. Repositioning to planet far side for observation. 0243 // OBSERVATION: Alien ships aggressively approach planet surface using small fighters to eliminate evacuation transports and create an impenetrable staggered defense picket. 0255 // Enemy carriers remain in high orbit while battlecruisers and destroyers converge just above the planet’s surface, branching outward with geometric precision unlike any previously reported alien military formation. 0256 // Planetside alien ships fire forward plasma cannons toward planet surface. Dust and debris conceal surface. Repositioning for better observation. 0257 // INTERNAL: Emergency Priority Order 020570E-3 complete. Preparing for departure. 0259 // Alien remote probes locked onto Accra position. Spinning up Slipspace drive. Enemy fighters en route. 0304 // INTERNAL: Slipspace drive at 31% power. Enemy fighters locking on. Contact within 537 seconds. Escape improbable, initiating evacuation protocol. 0312 // INTERNAL: Launched escape pods one through ten. Contact within 48 seconds. 0313 // INTERNAL: Launched escape pods eleven through twenty. Sustaining heavy fire from enemy craft. 0314 // Rewrite fatal cascade errors. 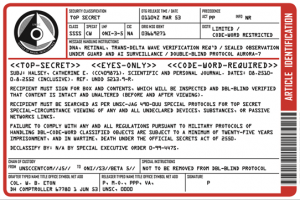 This is UNSC AI Copperfield, service number CPF 0159-7. File transfer protocol terminated. An estimated five hundred million people are feared dead after the Covenant juggernaut turned its unprovoked aggression toward the peaceful planet Bliss on Feb. 13. Credible, anonymous sources indicate that the capital city Manikata — inhabited by nearly five hundred thousand denizens — was the first population center reduced to smoldering rubble and blackened char. As one rescue and recovery official noted, the city is “a boiling lake of molten glass and metal.” No word has reached us from any other part of the colony. None is expected. Once again, we are forced to struggle with the aftermath of incomprehensible atrocities committed against our colonial men, women, and children. Loved ones who died as their homes burst into flames, their ashes scattered by the shock waves of the Covenant’s devastating weaponry. These people are forever lost to history. They are no longer the names and faces we remember. They have become meaningless statistics — peaks of data on a line graph that coldly calculates the rising casualties inflicted upon our people as this frivolous war drags on. But what happened on the ground before the Covenant decided that they were through and it was time for them to leave? What have we done that could ever compel the Covenant to strive so zealously to purge all evidence of our existence from this galaxy? And what have the Covenant done on these worlds that would compel them to so violently and systematically scour all evidence of their actions? We may never know. There is nothing there anymore. As on Harvest, a tranquil farming community orbiting distant Epsilon Indi, just over a year ago, the unconscionable violence of Covenant aggression leaves us without a trace of their misdeeds save the silence from our once flourishing worlds. Not even bodies remain to provide us with any closure or even the narrowest view of their fate. We are left only to wait out the next inevitable tragedy that will befall us at the Covenant’s hands. I know perfectly well why I was installed as the de facto security head of this installation, as I’m sure you have your own opinions on the matter. Nonetheless, I’m not here to confound you or spy on you to protect public interests-your current focus being less morally ambiguous than certain earlier efforts. Yes, some powers within the structure relish your slightest frustrations, but I’m here to ease those frustrations where I see it benefiting the common good. To wit, I was present at any number of seemingly pointless interrogations; their content consisting mainly of regurgitated rhetoric that we had been aware of since nearly the inception of this conflict. Yet one particular item that seemed incidental at the time–a pictogram alongside alien script (see the photographic inclusion pulled from a security video)–should be of considerable interest to you. Humanity’s effort to understand and unlock the secrets of Forerunner technology was never safe nor was it easy. Few researchers had the mental flexibility and intuitive grasp of higher-dimensions to understand even the most basic diagnostic outputs. The most dangerous avenues of investigation were those related to Forerunner power systems, which harnessed exotic energies and were not meant to be manipulated by crude tools and even cruder minds. Even seemingly innocuous relics could contain vast stores of caged energy that neither diminished nor faded over long millennia of disuse, energies that if not bound and controlled could bring ruin to all. We’ll be DM-ing winners this week to arrange hot-drop details. Congrats! Before we close, just a quick note to let fans know that last weekend your friendly neighborhood Grim joined the crew from Podcast Evolved for a fun chat about Halo, including inside perspectives, some of my own favorite aspects about the lore, and personal journey within the franchise. If you’d like to give it a listen, you can check out the episode here.Aaaaaaand that’ll do it for us this week. Thanks so much for joining us each issue, and for sharing a common passion for our favorite universe. Next edition we’ll be back with some particularly cool things to discuss, so stay tuned. 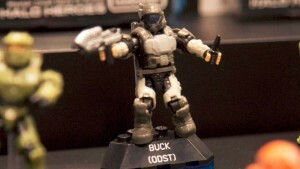 Until next time… Live well, play Halo, and remember that even in our darkest hour, hope remains. FEATURED UNIVERSE ENTRY THIS WEEK! This entry was posted in Canon Fodder, Uncategorized by Sal. Bookmark the permalink.